The AUSSIE LEGEND HAS GONE OVER THE RAINBOW - PEACE MY FRIEND - "Uluru" was a true "Red Dog" in every way. It is with great sadness that my best mate died recently at the age of 16 years. The place where you slept is now so empty and I miss you so much. We travelled many a long road together. You will always be in my heart and with me in spirit. You are now at peace - see you again my friend. Roo won many Best In Shows. A well balanced dog of excellent type, with good head and expression, very alert. Well propotioned head and body. Good coat, feet and outline. Good facility of movement, showing balance, synchronisation and enduring qualities. Sound fore and aft. 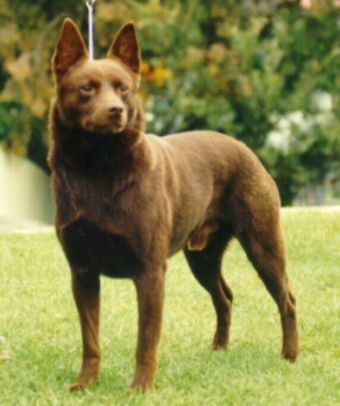 Challenge Dog is awarded to Grand Ch.Wingdari Uluru on the basis of his overall good qualities - desirable head, expression, outline, balanced proportions, movement and temperament. Best In Show excelled in type, balance, expression and facility of movement and was awarded to Grand Ch.Wingdari Uluru on the basis of his superior length of croup and and turn of stifle. In ones lifetime there is always a special dog that is really close to your heart and "Roo" was that dog. I love all my dogs dearly but my "Roo" was that something extra - my shadow, my best friend and mate. 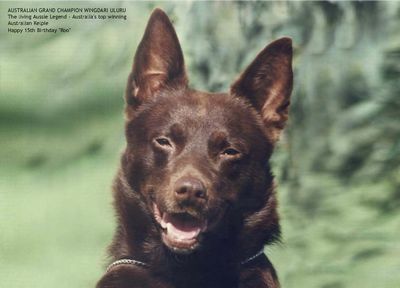 Aust.Ch.Wingdari Uluru was one of the top winning Kelpies - "Roo" has 20 Royal wins to his credit including Sydney, Melbourne, Adelaide, Canberra, Brisbane and Hobart. Multi Best Exhibit in Show wins. His daughter World Ch.Junior World Ch.& Netherlands Ch.Wingdari Ewe Jillaroo was a consistent winner in Europe. Aust.Ch. 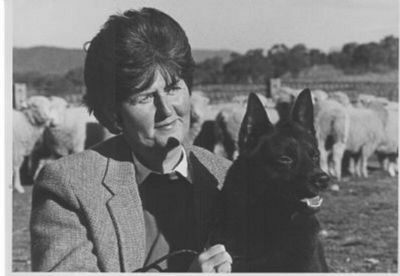 Wingdari Ewe Maggy's Girl (Sarah) won Baby in Show at Canberra Royal at her first show and went on over the years to win Runner Up in Shows, Royal Challenges and Runner Up Best of Breeds to her father Uluru, Classes in Show - the list goes on. The Aussie Legend and Icon lives on in his progeny.